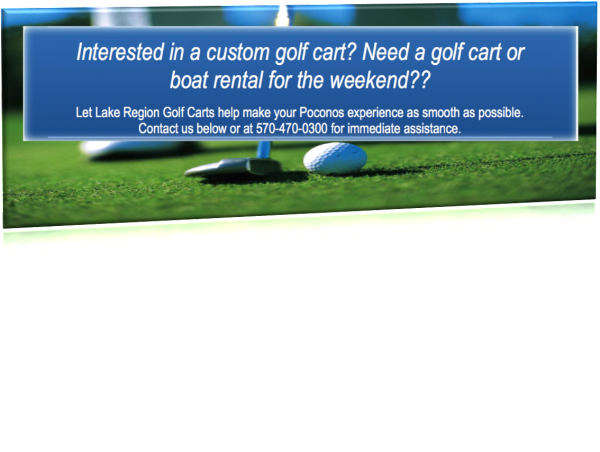 Lake Region Golf Carts is your resource for area golf cart sales and rentals! Allow us to accommodate your complete Poconos experience… Ask us about our boat rentals and even firewood sales! Send us a quick email using the form below and someone will get back to you as soon as possible.